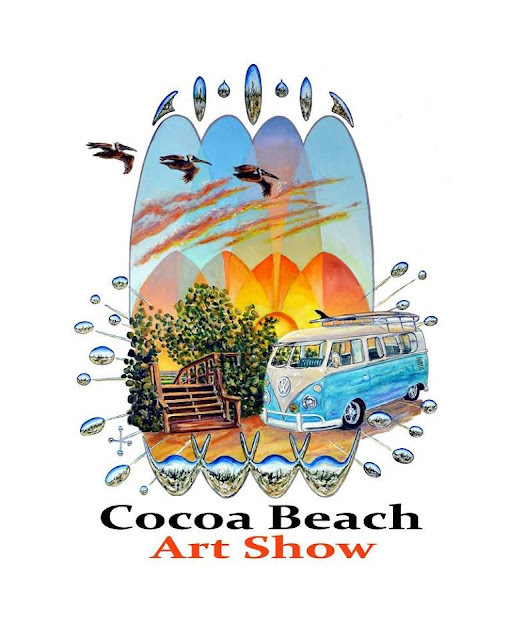 COCOA BEACH, Florida - The 2016 Cocoa Beach Art Show and Music Festival is taking place on Florida's Space Coast in Cocoa Beach this Thanksgiving weekend. The art show will feature over 100 artists, live music from six different bands, a children's arts and crafts tent, and over a dozen food vendors. The art show is located in downtown Cocoa Beach on Minuteman Causeway next to City Hall and Coconuts on the Beach. The show hours are from 9 a.m. to 5 p.m. on Saturday, November 26, 2016, and from 10 a.m. to 5 p.m. on Sunday, November 27, 2016.